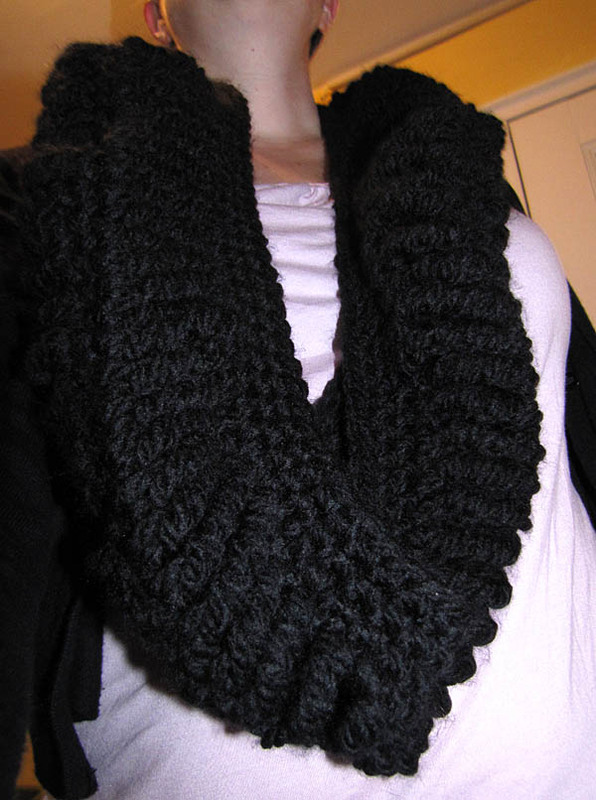 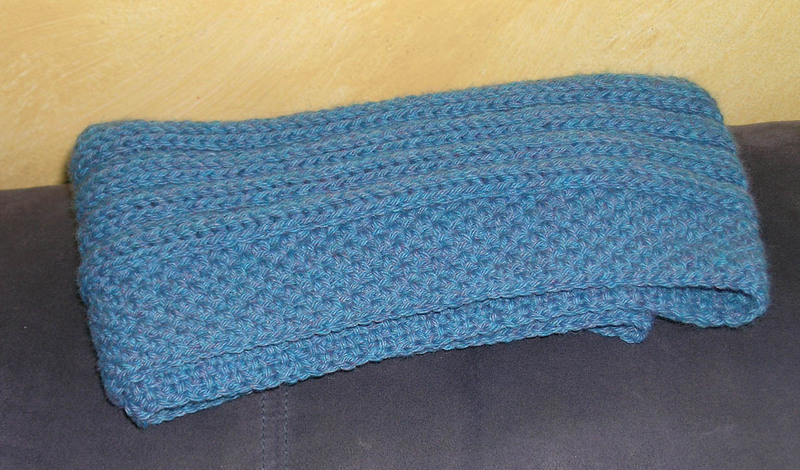 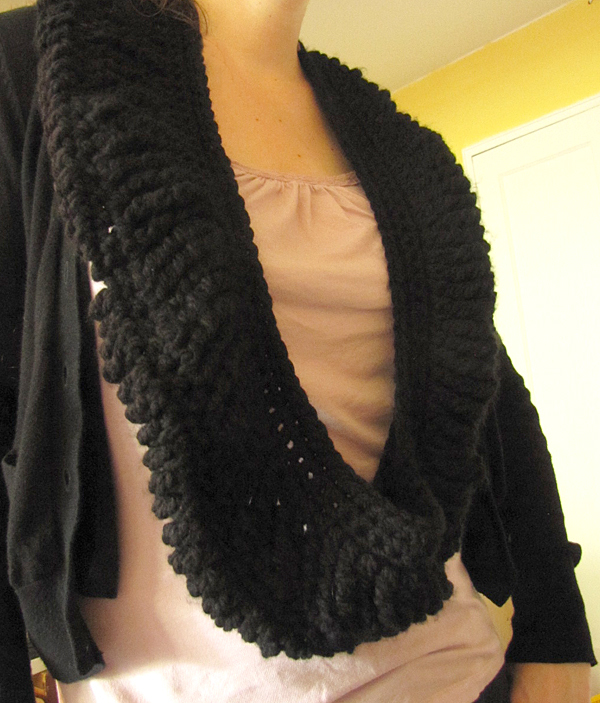 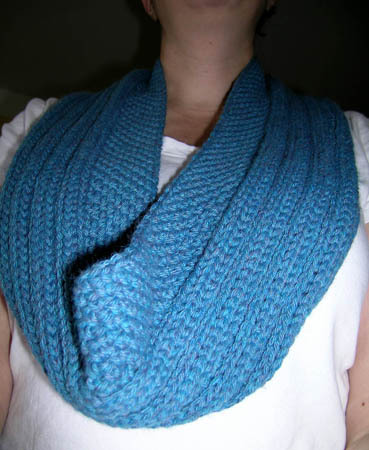 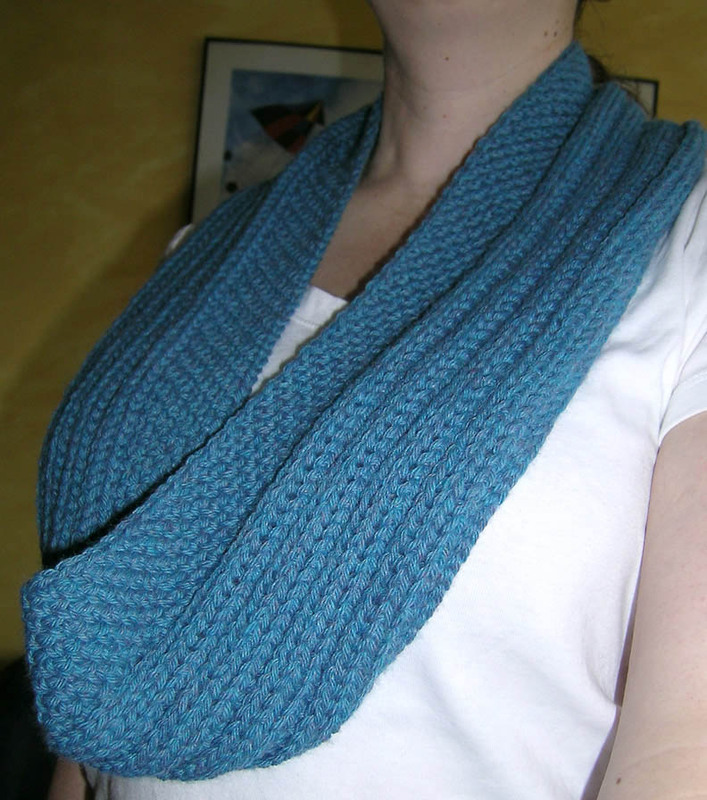 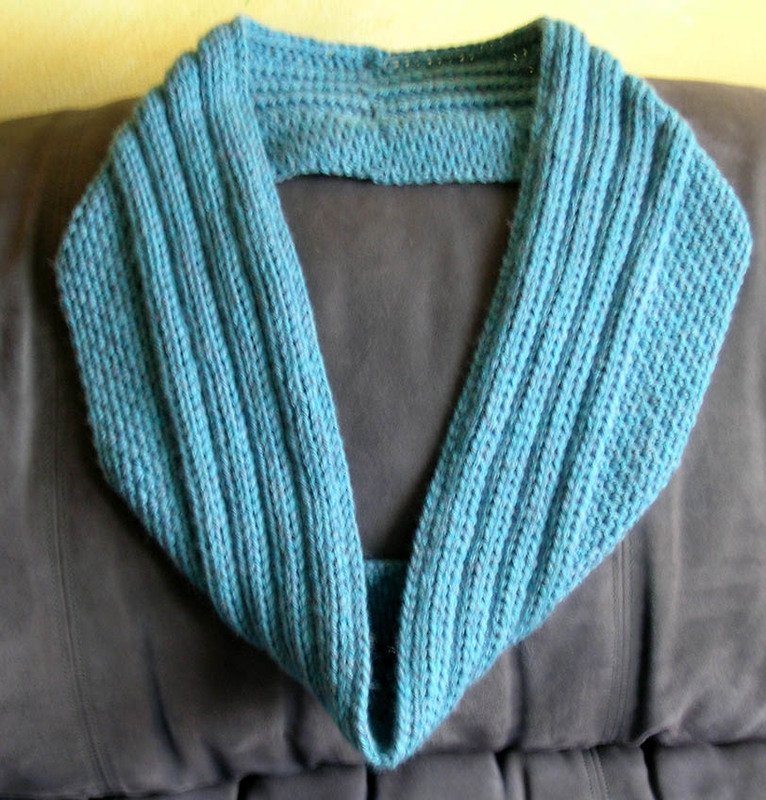 During my exploration of big hooks and loose stitches, the Chinese Lantern Cowl was created. 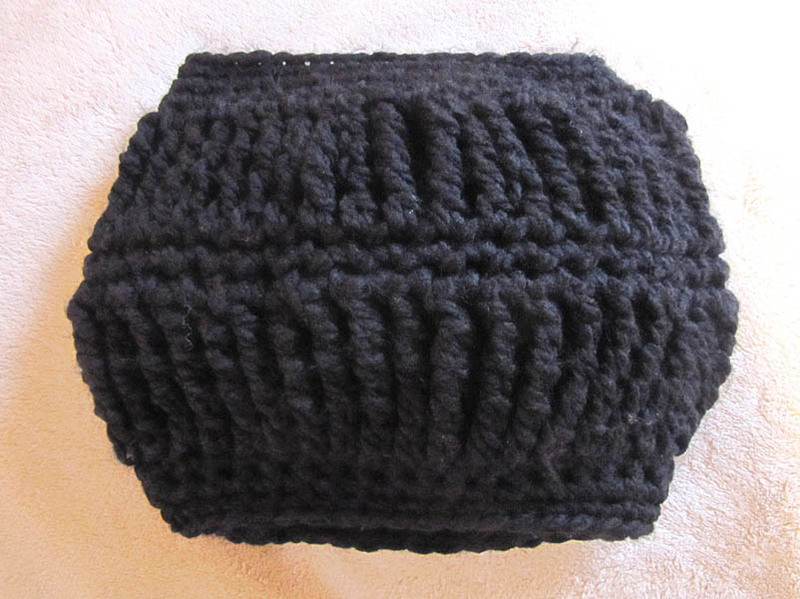 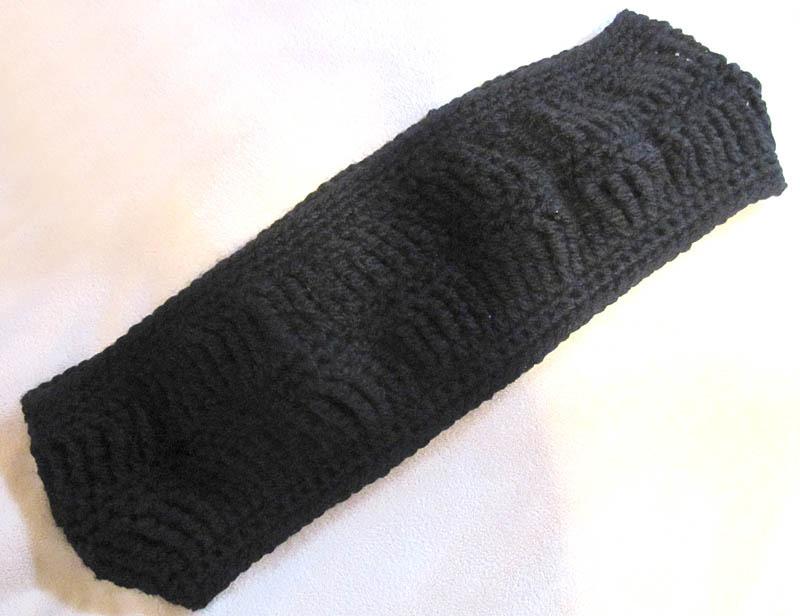 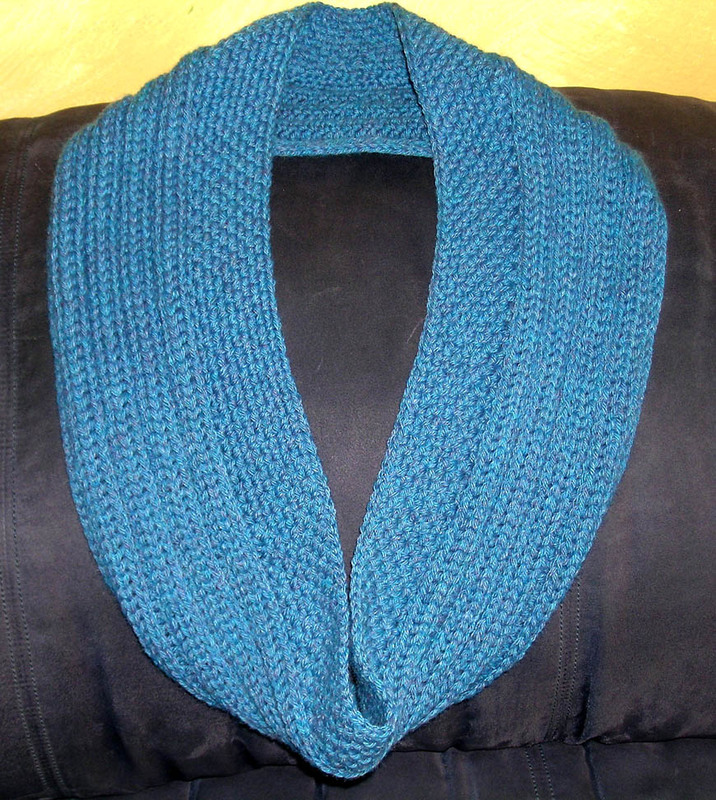 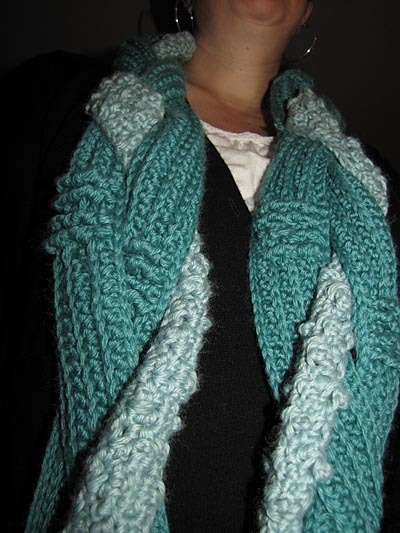 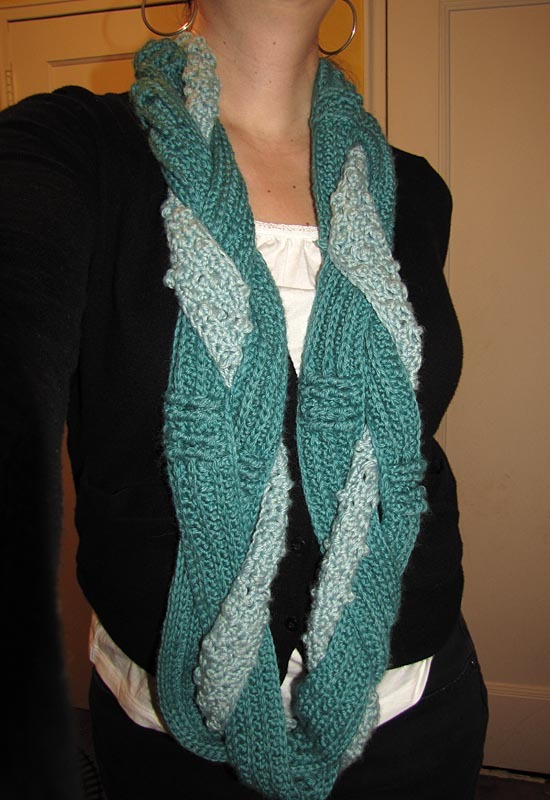 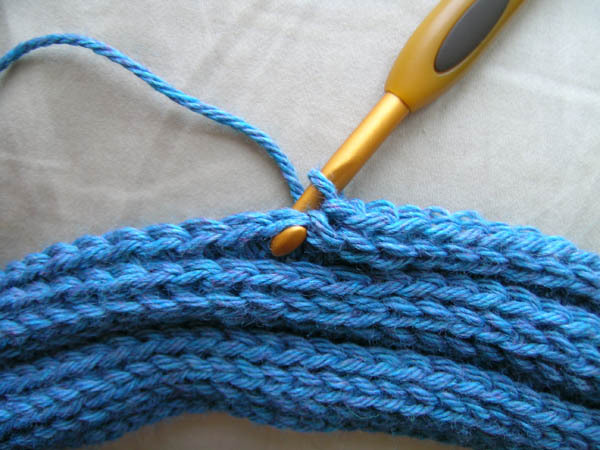 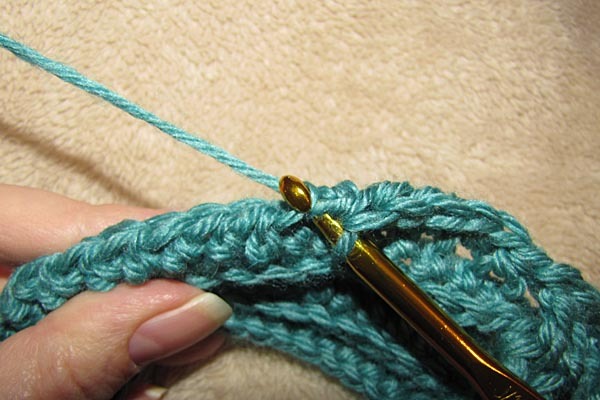 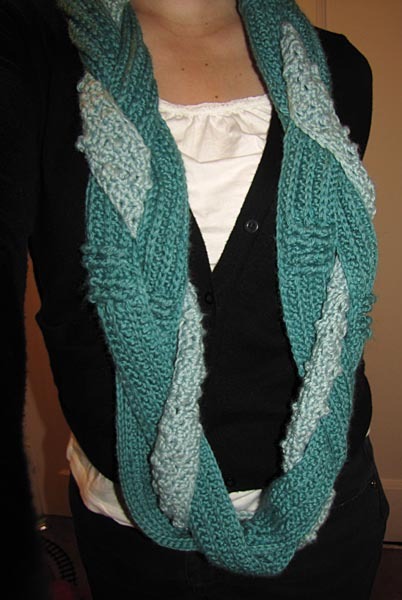 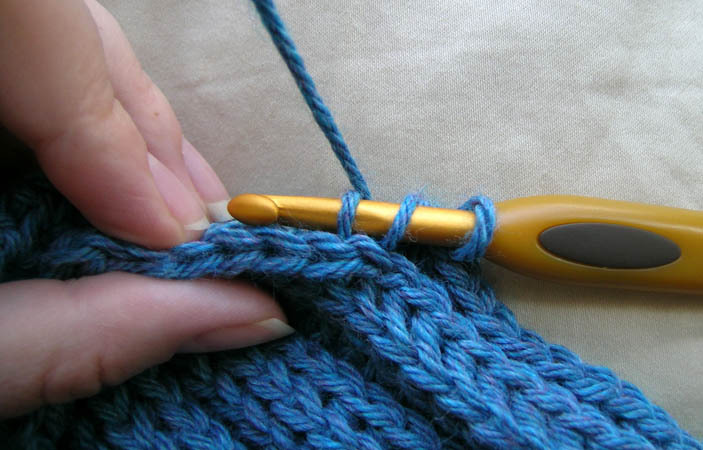 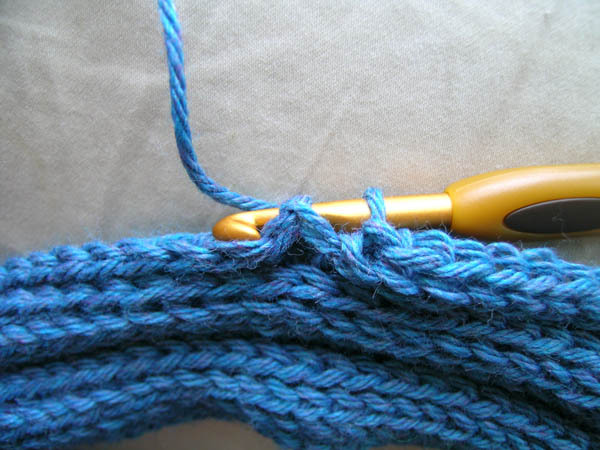 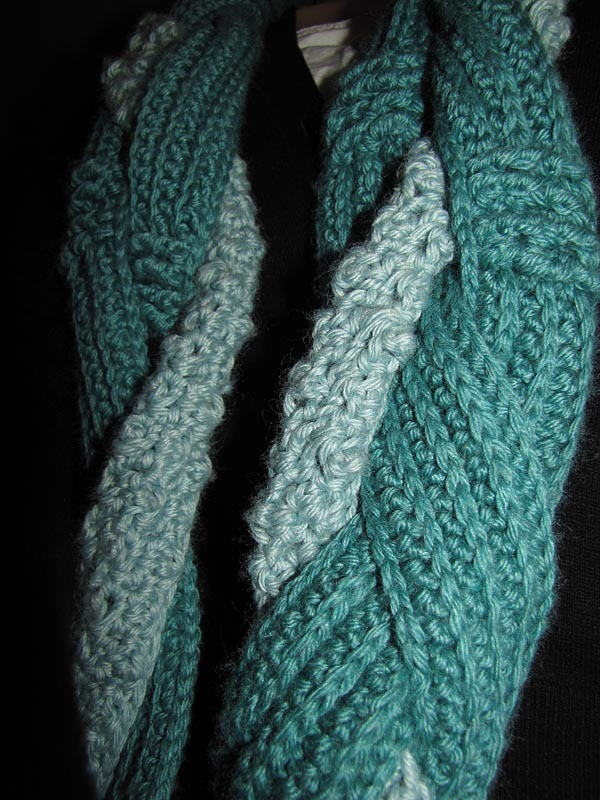 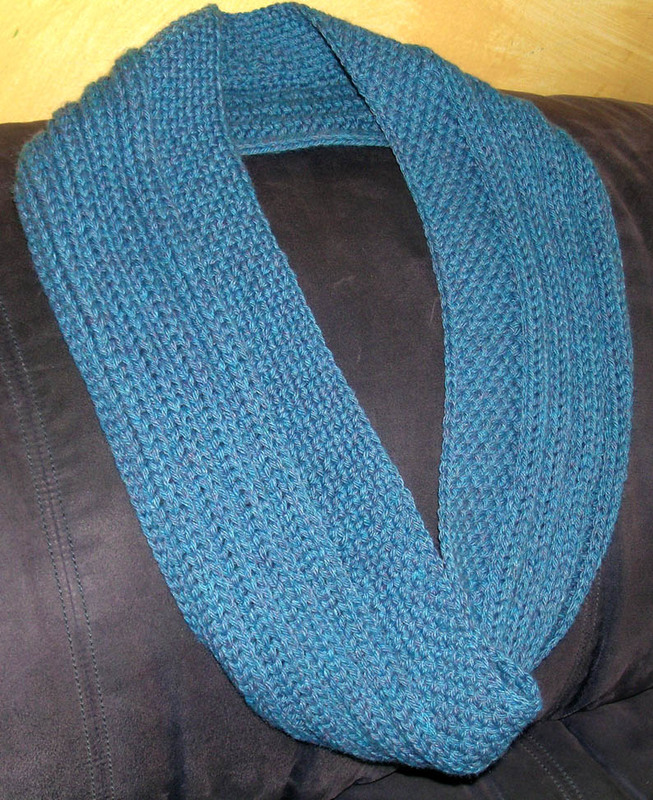 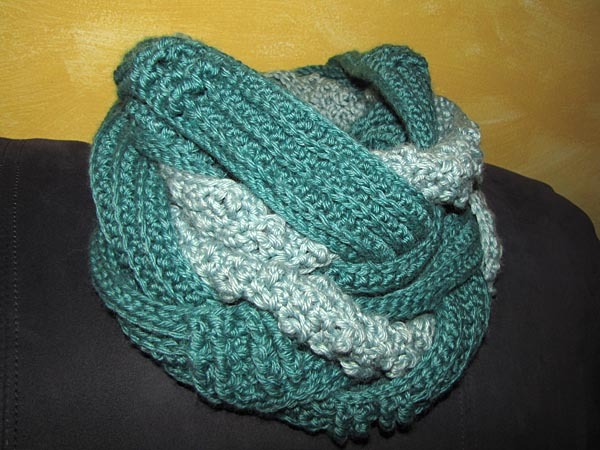 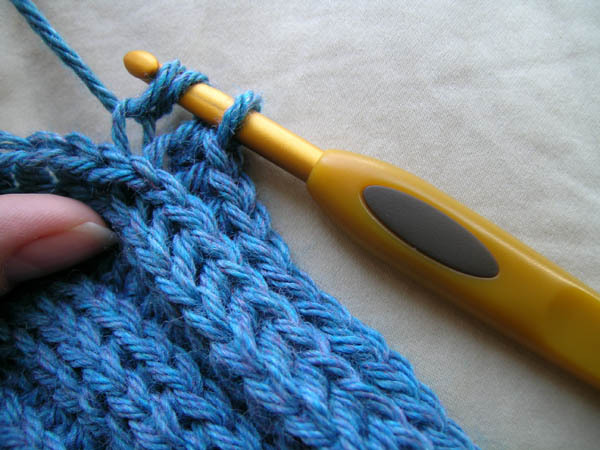 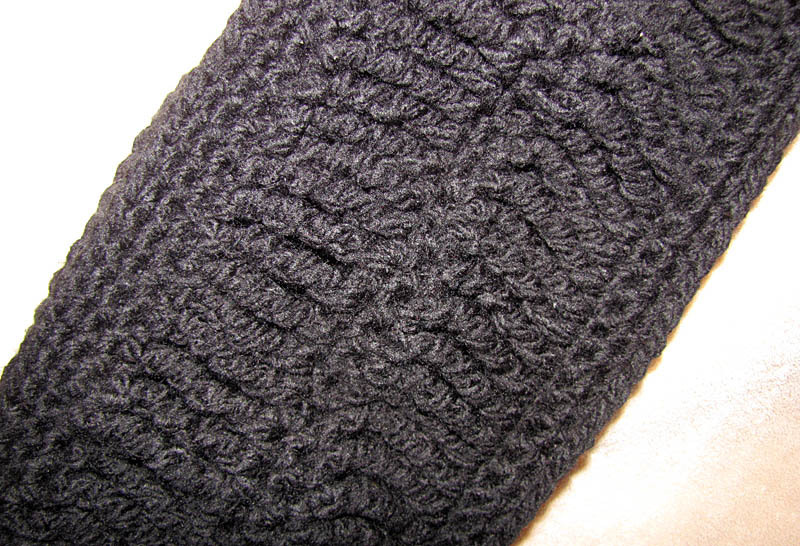 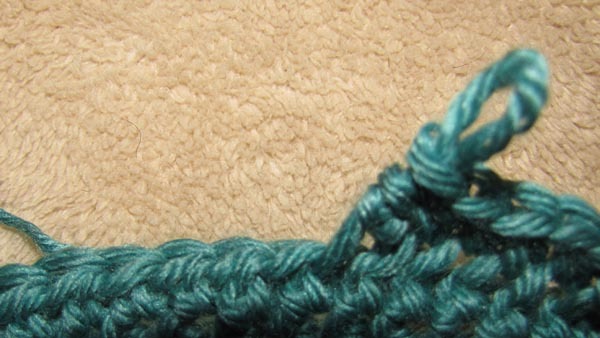 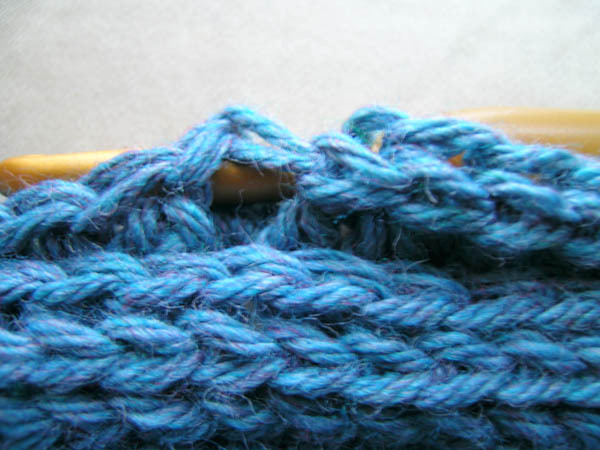 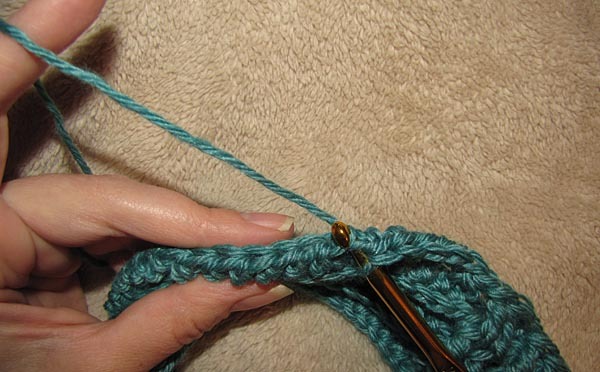 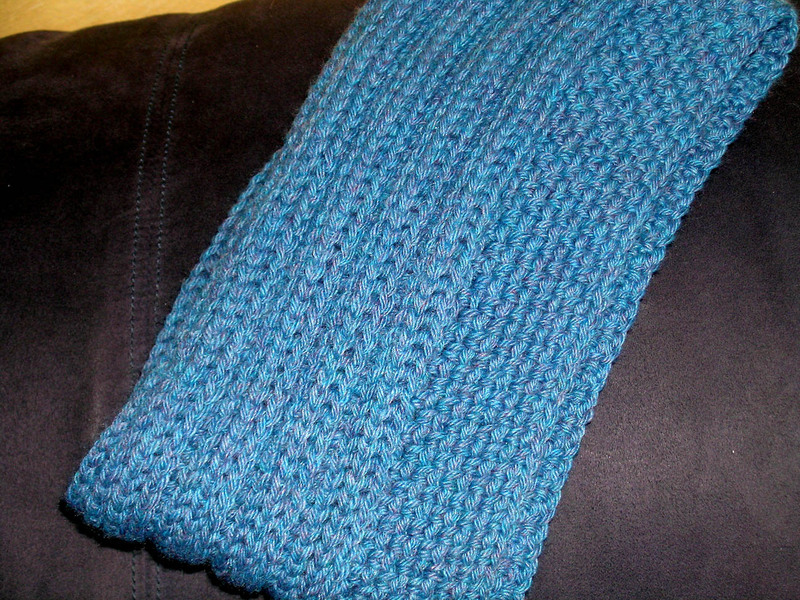 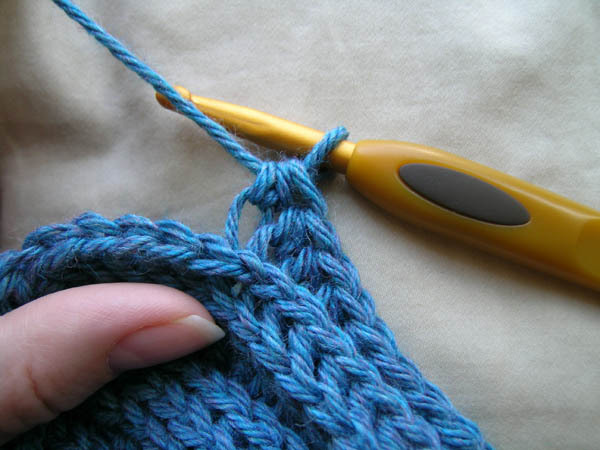 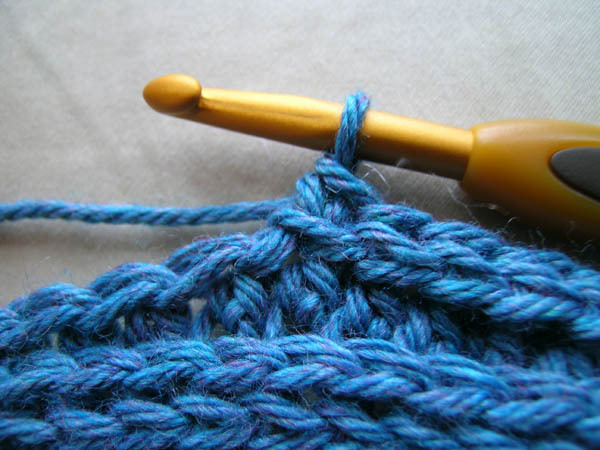 It uses a smaller hook for the edge rows and very long stitches made with a larger hook for the center rows. 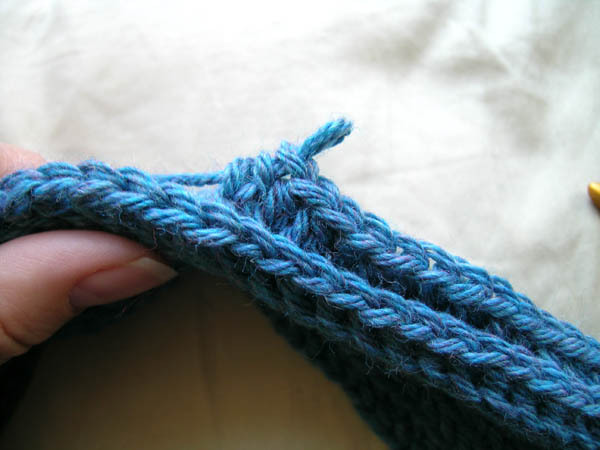 You will work in the round for the entire pattern, do not turn.